A tax deduction was created by Congress since 2007 to boost the troubled housing market. It is the insurance which some lenders make compulsory for the home buyers to purchase (pay) in case of little or no down payment. 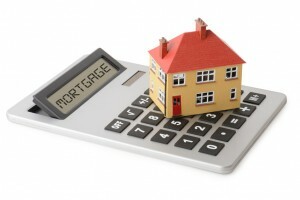 This protects the lender if the borrower fails to repay and is commonly called Private Mortgage Insurance (PMI). If you are paying PMI each month, you can get some of it back by applying for PMI deduction while filing your income tax return. And you should do that, because failing to do it is one of the serious mistakes for homeowners. Now a question that may come to your mind is how to deduct PMI. Let’s know more about it. Your AGI (Adjusted Gross Income) doesn’t exceed $109,000. PMI deduction starts to phase out when your AGI becomes more than $100,000 ($50,000 for married individuals who are filing separately) and vanishes fully at an AGI exceeding $109,000 ($54,000 for married individuals who are filing separately). How to Find Deductible Amount? Mostly, you will get the Form 1098, i.e. 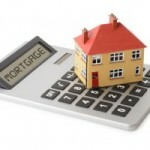 Mortgage Interest Statement, which has a Box 4 which contains the amount of premiums that qualify you for PMI deduction. If you are paying the qualifying mortgage insurance premiums and the amount is not given in Box 4, you will have to contact the issuer of mortgage insurance to find out the amount of deduction for you. As mentioned earlier, if your Adjusted Gross Income exceeds $109,000 ($54,500 for married individuals who are filing separately), you are not qualified for deducting your PMI. If your AGI is less than $109,000, but more than $100,000 (less than $54,500 but more than $50,000 for married individuals who are filing separately), you get limited deductions. In case of filing taxes on paper, you should use the worksheet in Schedule A to find out your deductible amount. If your AGI is not more than $100,000 ($50,000 for married individuals who are filing separately), you are qualified for getting the full deductible amount. Get full information and explanation on PMI deduction on AmericanTaxService.org. Here you will also get other useful information like tax refund calculator, when to file tax, and more.